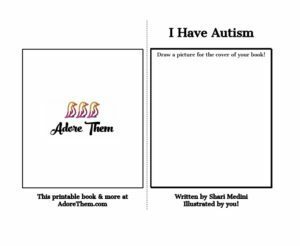 I originally wrote this story when I was working with children with autism, & I designed it to be part social story, part activity book. 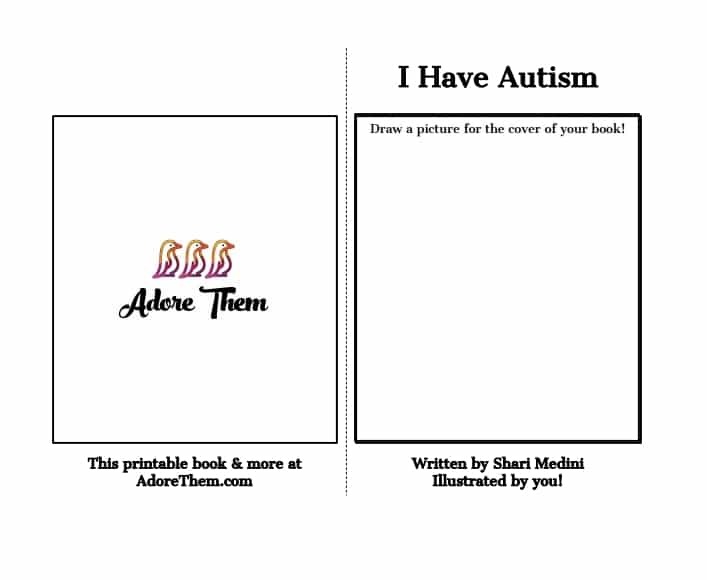 This book is printable so that you can work with your child to illustrate this book & really make it their own. Step 1: See below to download your book. 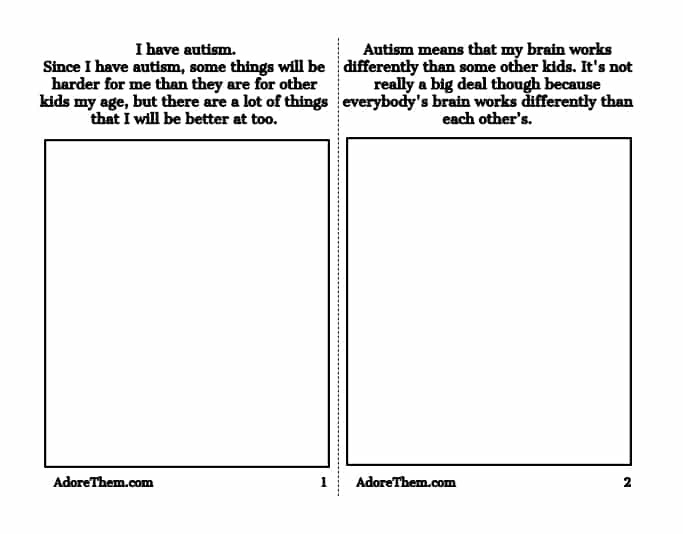 Step 2: Fold each page on the dotted line with the text facing out. Step 3: Trim the excess paper at the edge. Step 4: Set the cover aside, & arrange the other pages in order (beginning to end). Step 5: Put all of the pages inside the cover (they will be facing the opposite way). Step 6: Staple the book along the edge.